All my best wishes of a spiritual, peaceful and joyful holiday. As for me, I will brave the snows of this unusually harsh winter (yes, Paris and its region are still blanketed in white) to join my family for the occasion. 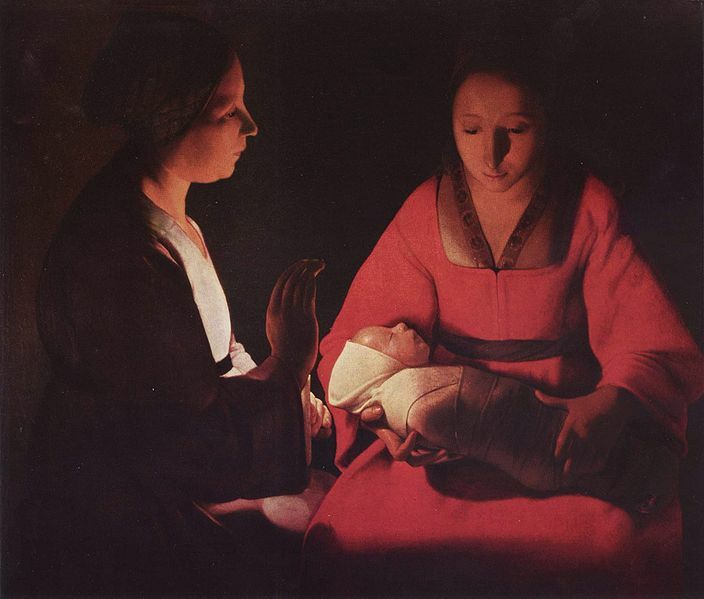 I wish to share with you this beautiful Nativity by 17th century painter Georges de La Tour. La Tour was a master of the clair-obscur, and here he uses the light of the candle hidden behind the hand of the attendant to convey the religious meaning of the scene and the bond between mother and child.